Born Sydney, Australia. Extension Studies in Voice at the Sydney Conservatorium of Music 1994. Studied voice with Elisabeth Dracakis, Maree Ryan, in Vienna with Professor Helena Lazarska and since 2004 with Anthea Moller. National Summer School for Singers 1996, L.Mus.A Diploma in Singing 1997, Mastercourse ’99 with Victor Morris, workshops with Helen Tiller, Janice Chapman, Richard Miller, American Institute of Musical Studies in Graz International Summer School 2002, Salzburg Mozarteum International Summer School 2003 . Studied Italian in Florence and German in Graz, and also has an instrumental background having studied violin, viola, piano and flute. Winner ACTEWAGL National Operatic Aria in the 2007 Australian National Eisteddfod, Elisabeth Todd Soprano Award, Open Aria Dural and Taree Eisteddfods, semi-finalist McDonalds’ Operatic Aria 2001 & 2005, 1999 Recital and Championship and 1997 Vocal Championship-Music Teachers’ Association of NSW. Second place in the 2007 Fremantle Operatic Aria, Open Oratorio and Lieder sections in the 2007 Australian National Eisteddfod.finalist in the 2000 2MBS-FM Young Performer Award, and Female Operatic Voice in the 2000 City of Sydney Eisteddfod, and 1995 Joan Sutherland Scholarship. Oratorio soloist Schubert’s Mass in G-Minor D167 and Bach’s Cantata BWV 196 Munich, Handel’s Messiah, Stainer’s Crucifixion, Maunder’s Bethlehem and Thiman’s Christmas Cantata. Lucy (The Threepenny Opera), Gilda (Rigoletto), Cupid (Masque in Dioclesian), Princess Maria Anna Elisa (Paganini), Princess Nekaya (Utopia Ltd), Arlena (Die Zigeunerbaron), Gianetta (The Gondoliers), Kate (Kiss Me Kate). Also sung with WA Opera. 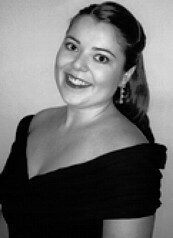 In December 2007 Anita won the MTO German-Australian Opera Grant in Melbourne and leaves for Germany in June 2008 to become part of the professional ensemble at the Hessisches Staatstheater in Wiesbaden.